The most beautiful pebble beaches in Croatia - Here they are! 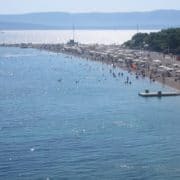 There are a few beaches in Croatia that join every year the ranking of the best beaches in the world, including Zlatni Rat Beach on the island of Brać. But this is not the only beach that deserves a visit. 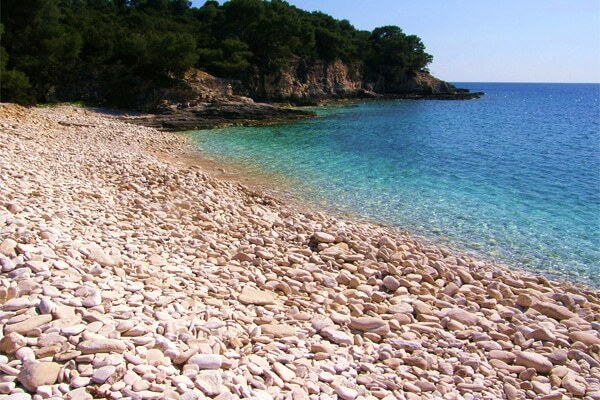 Discover here the most beautiful pebble beaches in Croatia. 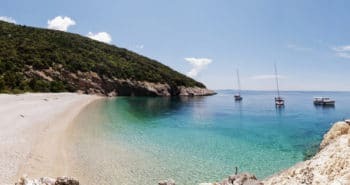 Maybe you don’t know this beach by its name but you have for sure seen it on videos and pictures of Croatia. Zlatni Rat beach, in English the Golden Horn, is located 1 km from the center of Bol on the island of Brač. 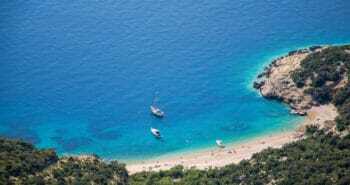 It is the most famous beach in Croatia, a true symbol of the country, each year chosen as one of the best beaches in the world. Yet do not expect to find some sand here, the 500 m long beach is covered by pebbles. The originality of the beach is that it changes shape depending on the currents. It is a paradise for water sports lovers, especially for windsurfers. 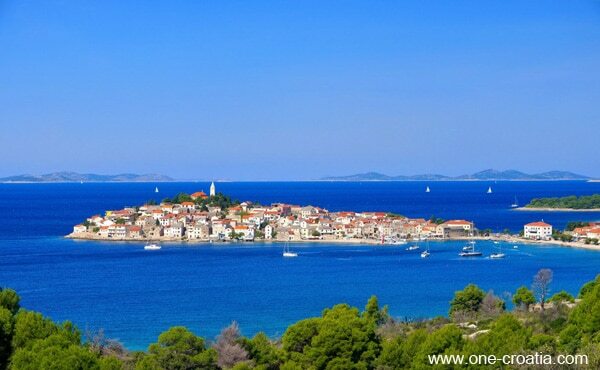 Primošten is the ideal place to enjoy your holiday in Croatia. The old town and its stone houses is located on a peninsula which narrow streets will take you to the church situated on the top of the hill. 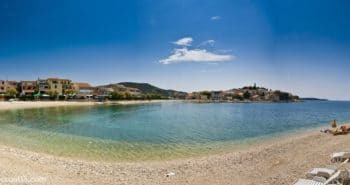 You’ll find there so many restaurants of Croatian cuisine, bars with terrace by the sea, concerts on the main square all summer long… It is exactly the image that one has of a small Dalmatian village. There is another peninsula just in front of the old town. On this one is situated the only hotel Hotel Zora and it is surrounded by pebble beaches. 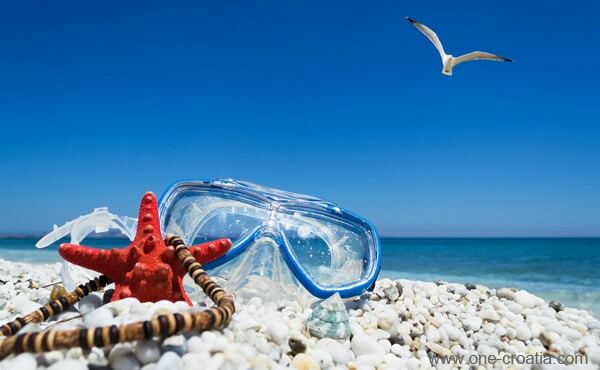 It is definetely worth it to spend at least a day there and enjoy its crystal clear blue sea. 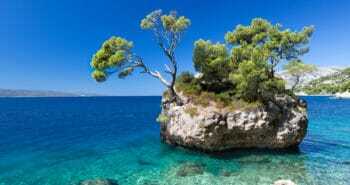 The island of Hvar is famous for the town of Hvar known as the Croatian Saint Tropez. It is the best place to party in Croatia. You will not find any luxury brand or fine jewelery here, but still Hvar is the chic and glamorous destination of Croatia. Party people from all over the world join in its many cocktail bars and its open air disco. 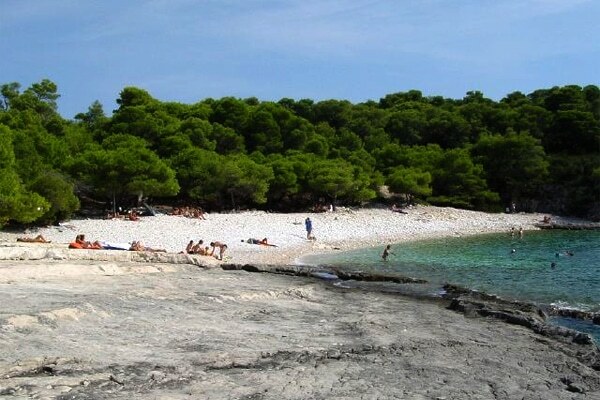 To rest and recover from the night out, go to the beach of Dubovica Bay 8 km south of Hvar. You will have to leave your car on the side of the road and finish the last 150 meters by foot. Since it is a bit tricky to get there, it is far less crowded than beaches in Hvar. 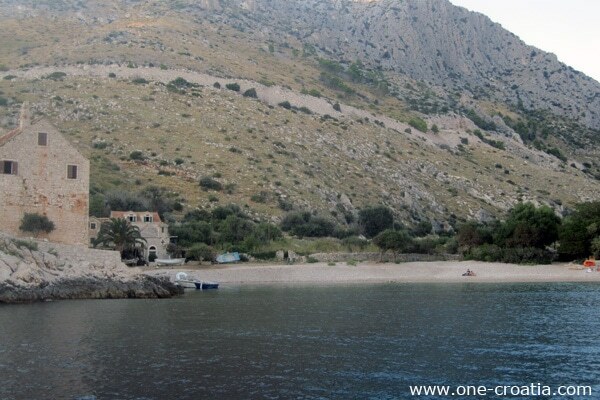 Lubenice is a village on the island of Cres, it was built on a cliff 378 meters above the sea level. 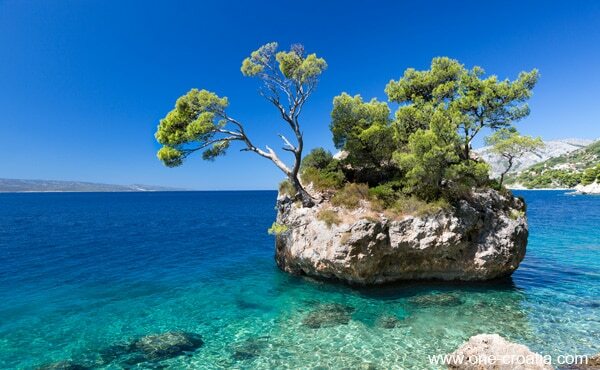 One of the nicest pebble beaches in Croatia is situated at the bottom of the cliff. Since you cannot access the beach by car you will need to get ready for a long walk, count about 45 minutes to go down… and about one hour to go back up. This is the reason why it is not crowded, only the bravest will enjoy the beach and its pure and crystalline sea. 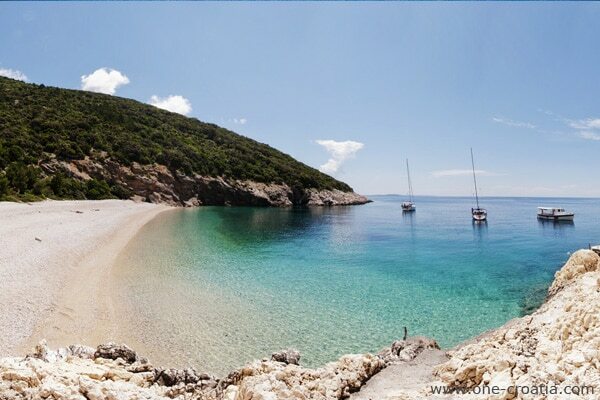 The Croatian village of Brela is situated one hour south of Split in front of a 6 km long pebble beach. The beach is bordered by a forest of pine, olive and fig trees. 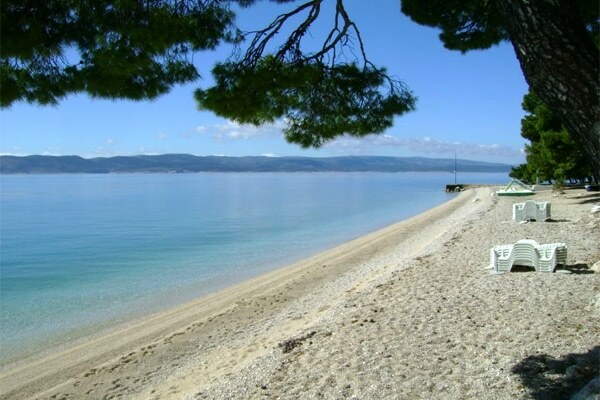 The nicest part of this beach is the beach called Punta Rata which rock in the sea has become a symbol of Croatia. 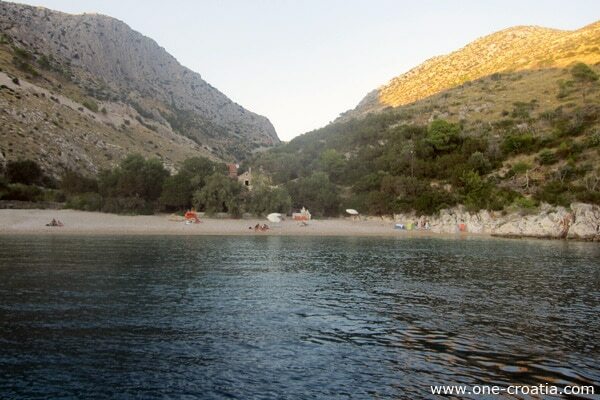 Coming from the center of Brela pass the hotels Soline, Maestral and Marina and finally the restaurant Punta Rata, you will then arrive at Punta Rata beach. 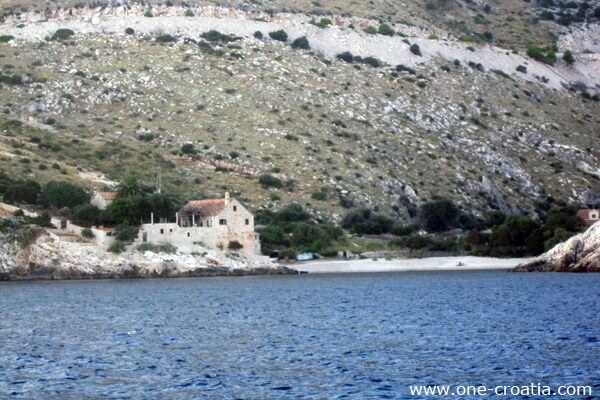 The island of Vis used to host a military base while it was part of Yugoslavia, until the early 90’s. That’s how Vis escaped the tourist boom as well as mass tourism. 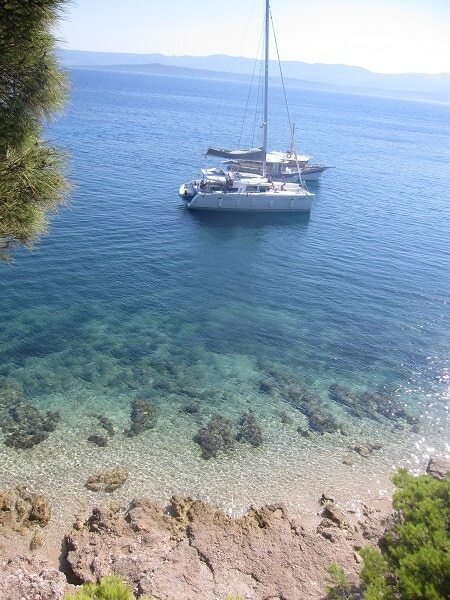 Vis island has kept the authenticity of the Dalmatian way of life, it is the perfect place to get away from the crowd. 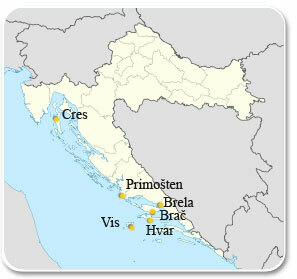 Moreover, since Vis is more far away from the mainland than other islands such as Hvar or Brač, it is less crowded. 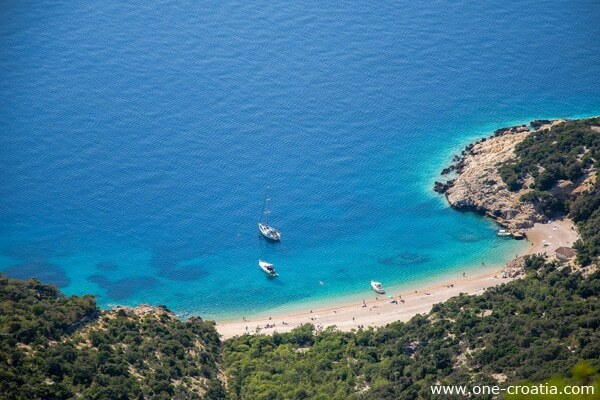 At Vis you will be able to spend your holidays discovering its beautiful sandy and pebble beaches. I chose here Srebrna beach, which means the silver beach, because of the color of the pebbles. 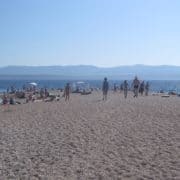 The beach is right next to the village of Rukavac but it is not very easy to find it so better ask someone once there.